Overview: Stylistically this wine can be likened to ‘Chablis’. Chablis being the French region that produces predominately Chardonnay. There is a misconception that Chablis is made without contact with oak. In fact Chablis can be stored in oak, however it traditionally must be stored in Feuillette barrels which are larger, older and do not impart strong oak characters. In recent years winemakers in Chablis have been using smaller oak barrels but are still trying to keep ‘new oak’ characters to a minimum, in some circles this is shunned upon as it distorts the perception of the Chablis style. This perception is so strong that I once told someone, who was praising Chablis for not ever using oak, that they actually do use oak and his face crumbled, as if I had told him that his entire life was a lie. This wine has spent minimal time in older oak barrels so the oak characteristics are subtle, thus earmarking it as a Chablis style. Tasting note: A pristine nose with grapefruit, subtle, toasty oak and salty undertones. The palate is lean and elegant with well integrated oak complimenting the lime and grapefruit characters. A lengthy finish with a lovely minerality. Tasting note: There are some aged, brownish hues when pouring this wine into the glass. Some nice spice on the nose and forest fruits. Rich with liquorice notes and typical Padthaway menthol. Final Say: Drinking well now, skip the cellaring. $14 a bottle. 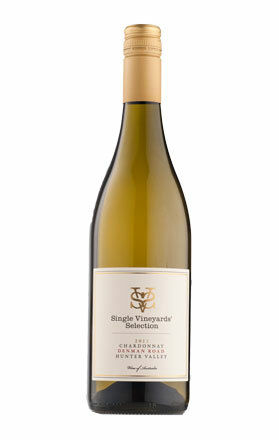 Tasting note: An elegant and restrained style of Chardonnay with nice citrus and honeydew melon tones with well integrated, toasty oak and linear acidity. Final Say: Probably needs another couple of months in the bottle to settle down but shows great potential. $16 a bottle. Tasting note: The golden colour shows that this has spent some time on the Pinot Gris skins, which are pink or grey. Freshly cut pear flavours lift from the glass and are complemented by almonds and some crushed herbs. The rich palate finishes dry. Tasting note: Unmistakable Sauvignon Blanc aromas of cut grass. Herbaceous on the palate with some citrus and savoury notes. Lacks some freshness, but enjoyable nonetheless. Final Say: Hits the mark for the price, $14 a bottle. Tasting note: This sparkling is made from Pinot Noir, which gives the wine a lovely salmon blush, not quite a sparkling rosé but something of a happy medium. Fresh and vibrant, with characters of strawberry, citrus and green apple with a subtle hint of yeast. Overview: I was tickled pink when I saw this wine pop up in my recent tasting. The Wee Angus is ‘little brother’ to the Angus the Bull Cabernet Sauvignon. Humorous in itself, but say the names of the producer, wine and winemaker out load in a Scottish accent ­– The Aberdeen Wine Company, Angus the Bull Cabernet, made by Hamish MacGowan – and the hilarity really ensues. Absolute gold, well for me at least. 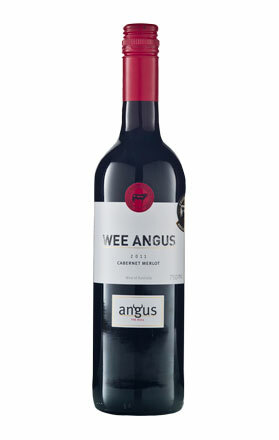 The Aberdeen Wine Co. have been savvy marketers and the Wee Angus is a great entry level addition to their portfolio. 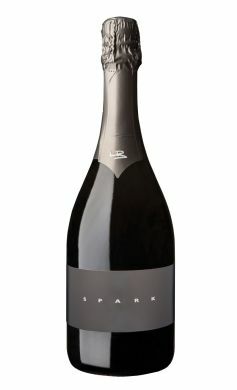 Tasting note: A leafy, lean nose with some rich plum notes and black olive aromas. On the palate, plum and blackcurrant characters feature and are complemented by a touch of mocha with a velvety mouthfeel and grippy tannins. It finishes lean with good length. Final Say: Best enjoyed with a steaming plate of haggis on the shores of Loch Ness. $14.99 a bottle.